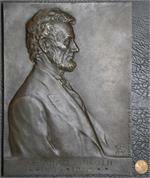 Victor D. Brenner’s original bust of Abraham Lincoln was sculpted and copyrighted in 1907 (now in public domain). A number of large bronze plaques were produced and sold by the artist in the 1907-1909 period. 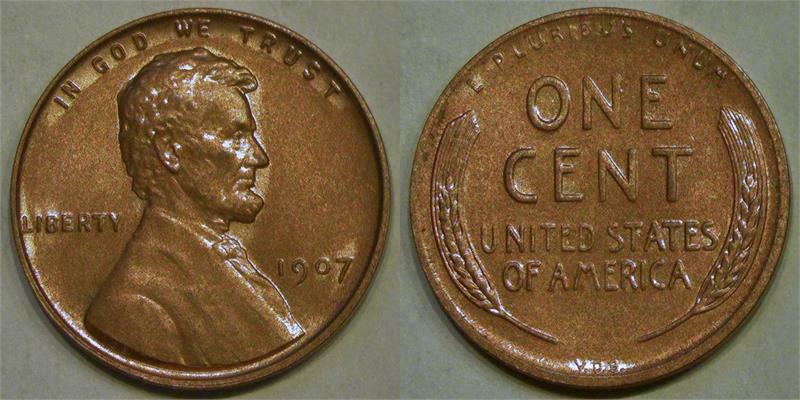 This original version featured slightly different facial details, higher relief on the head, and a different coat and tie arrangement than the later version which was eventually adopted for use on the Lincoln Cents first minted in 1909. 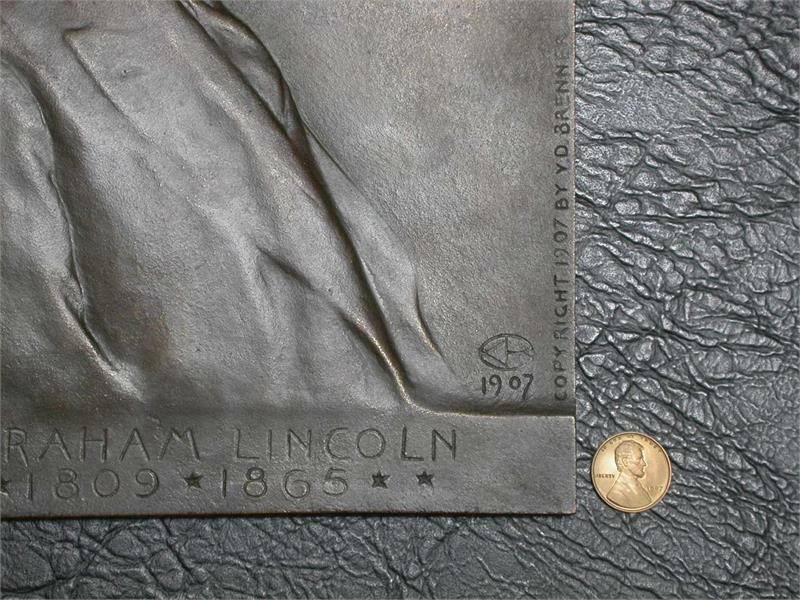 The “1907” fantasy-date over-strike features an accurate reduction from one of the original plaques so as to show what the first Lincoln Cent would have looked like with the original sculpture. These are over-struck on bronze Lincoln Wheat Cents of 1909-1958.